A new sign for Cairine Wilson Secondary School in Orleans, Ontario had to be fixed not long after it was installed because of a spelling mistake. A new sign for Cairine Wilson Secondary School in Orleans had to be fixed not long after it was installed because of an embarrassing spelling mistake. 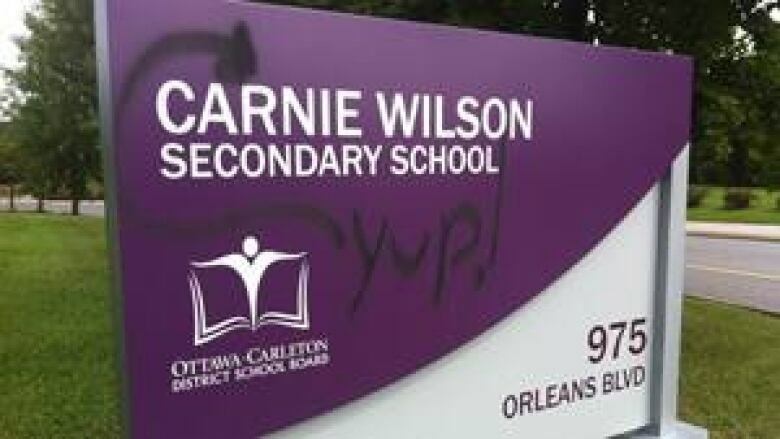 The sign, which read "Carnie Wilson Secondary School," was fixed Saturday morning. It did not have to be entirely replaced. The high school is named after Cairine Wilson, the first woman appointed to Canada's Senate. Carnie Wilson, a TV personality and daughter of The Beach Boys's Brian Wilson, is the lead singer of pop group Wilson Phillips. 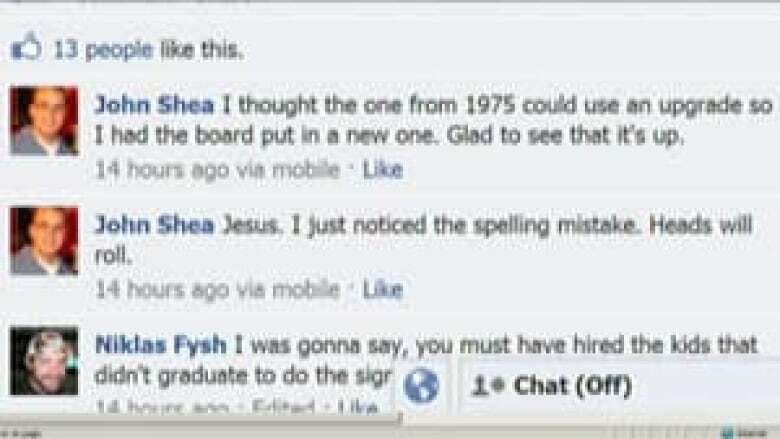 A man who fixed the sign Saturday did not agree to an interview on camera, but said the mistake was made by the school board. "It was obviously an honest mistake made by either the manufacturing company or by facility staff at the board," said John Shea, the school's trustee. "Obviously the school is named after the first female senator, not the lead singer of Wilson Phillips. "I think people in Orleans are having a pretty good chuckle about it," he said.